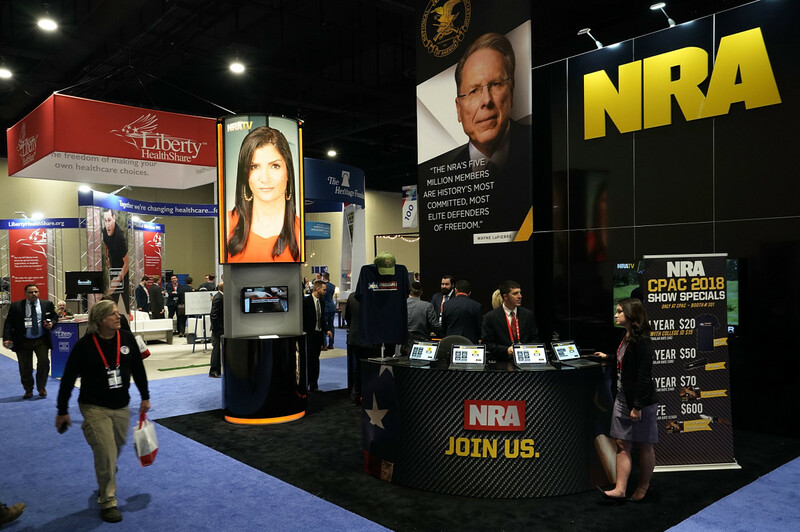 The National Rifle Association booth at the Conservative Political Action Conference in 2018. The Violence Against Women Act that Congress passed 25 years ago—securing additional resources explicitly for the prosecution of crimes against women—is up for reauthorization, and the National Rifle Association is opposing it over new protections for victims of domestic violence. An extension of the VAWA currently being debated would expand so-called "red flag" gun-control measures that prohibit individuals with a history of domestic violence, including stalking and sexual assault, from possessing firearms. These measures have been adopted at the state level in the form of, among other measures, extreme risk protection orders (ERPO), which allow both families and members of law enforcement to petition for a temporary gun confiscation if someone is a danger to themselves or others. There&apos;s precedent for ERPO laws at the federal level. 18 U.S. Code § 922 (g) already prohibits individuals who are subject to a court order "restrain[ing] such person from harassing, stalking, or threatening an intimate partner" to possess a firearm. Indeed, the National Instant Criminal Background Check System, established in 1993, explicitly feeds information on state-level domestic violence convictions to the Federal Bureau of Investigation, albeit on a state by state basis. 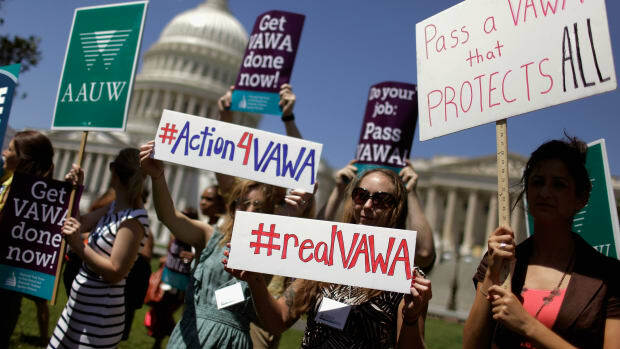 VAWA reauthorization would mandate states provide relevant legal information to the federal government. There&apos;s sound logic behind the measure. States that adopted laws authorizing the confiscation of firearms from individuals subject to a domestic violence-related restraining order saw intimate partner homicides drop by 7 percent following passage, according to a 2006 study in Evaluation Review. And it&apos;s not just homicides: According to a study led by researchers at the Duke University&apos;s School of Medicine Center, the EPRO measure enacted by Connecticut in 1998 ended up averting up to 100 suicides, let alone dozens of violent homicides. But all the NRA sees in this VAWA extension is the seizure of guns. 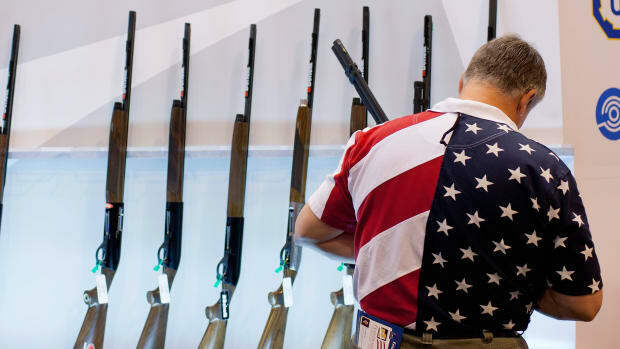 "The NRA opposes domestic violence and all violent crime, and spends millions of dollars teaching countless Americans how not to be a victim and how to safely use firearms for self-defense," NRA spokesman Jennifer Baker told National Journal. "It is a shame that some in the gun-control community treat the severity of domestic violence so trivially that they are willing to use it as a tool to advance a political agenda." Baker&apos;s response is deeply hypocritical: Decades of research indicates that domestic violence and gun violence are inextricably entwined. Women who are victimized by domestic abuse are five times more likely to be killed if their abuser owns a firearm, according to a 2003 study in the American Journal of Public Health. A similar analysis from the Giffords Law Center indicates that two-thirds of women murdered by guns were killed by intimate partners. "The data refute the hypothesis that abusers who want to kill will simply use another weapon if they don&apos;t have a gun," the Department of Justice stated in a since-archived 2016 paper on domestic violence and firearms. "In fact, guns make it more likely that a death will result." In addition to guns facilitating intimate violence, there is a well-established link between misogyny and America&apos;s mass shooting phenomenon. As Pacific Standard reported in 2017, 40 percent of mass shootings that occurred between 2009 and 2012 started with a shooter targeting a partner or former partner, a rate that jumped to 54 percent in 2016, according to gun-control advocacy group Everytown for Gun Safety. And these are overwhelming perpetrated by men: Out of the 95 mass shootings that occurred between 1982 and 2017 in Mother Jones&apos; open-source database, only three cases—just over 2 percent—included female perpetrators. Unsurprisingly, the role of misogyny in multiple mass shootings in recent years—the murder of 26 parishioners, including the shooter&apos;s former partner, at the First Baptist Church in Sutherland Springs, Texas, for example—has catalyzed a significant increase in state governments adopting or considering ERPO laws, including a new "red flag" measure introduced in Texas in late 2018. 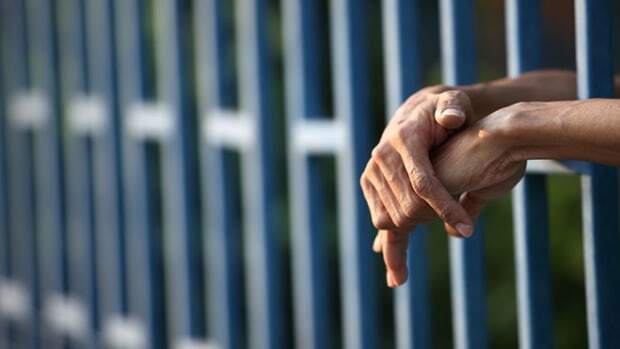 In early 2019, New York became the 14th state plus Washington, D.C., to pass ERPO measures; 29 other states already have similar restrictions for individuals convicted of domestic violence, according to Everytown. 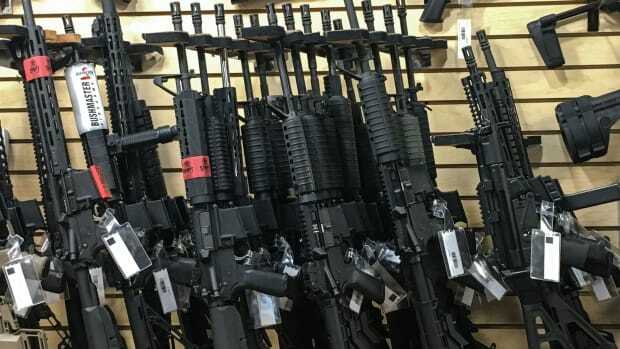 Some of these victories were earned in states that are traditionally gun friendly: in late 2018, the Pennsylvania legislature managed to pass its first anti-gun-violence legislation in nearly a decade in the form of a state ERPO measure, despite opposition from the NRA. "Red flag" provisions are a painfully obvious solution to the daily scourge of gun violence. Most Americans support the VAWA and are desperate for better measures to tamper the rising tide of gun violence in America. 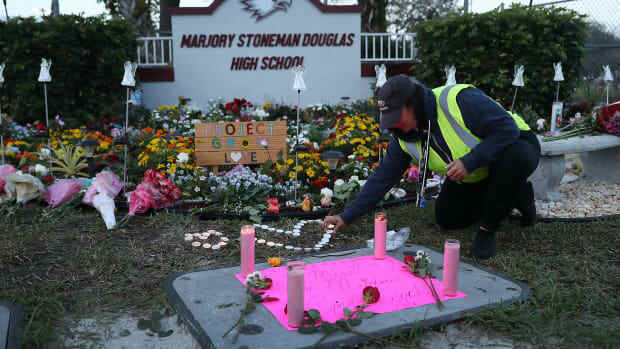 This includes even staunch Republicans in Congress, apparently, who, according to National Journal, "discussed enlisting backup from the NRA to give them cover to vote against the bill, in a sign that they are feeling political pressure on the issue."